Police said youths deliberately blocking tram tracks in Cleveleys on Saturday were not reported to officers. Heritage Tram Tours complained to @WyrePolice on Twitter about them, but Sgt Natali Harper said that, after vandalism on Thursday, “no further issues were reported during the weekend”. 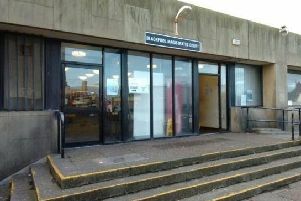 A 16-year-old girl has been voluntarily quizzed about graffiti sprayed on the bus station, sea wall, and a “number of businesses”, Sgt Harper said. “We will continue to work with our partners, including Wyre Council, to ensure this behaviour is prevented, she added. Officers had used social media to threaten young miscreants, who have plagued the town centre for months, with arrest. A dispersal order was put in place in the town centre from 5pm on Friday until the same time on Sunday. The next day, youths were accused of “deliberately” blocking the trams at Thornton Gate, while residents also complained of Jubilee Gardens being wrecked.